It might still be hot as Hades outside in most parts of the country (we're looking at you, sweaty folks at New York Fashion Week! ), but that does not mean we aren't already seriously looking forward to busting out our fall essentials. Specifically, for yours truly, that means two words: faux fur. The Haute Pursuit blogger Vanessa Hong has been hard at work developing her own line of colorful faux-fur pieces for a while now, and she's been slowly debuting it by enlisting the help of some of her chic friends. New York fashion editors and street style stars like Eva Chen (left), Shiona Turini, and more have all been wearing her collection for months now—and finally, it's live to shop. Hong's collection of boxy faux-fur coats, peacoats, and chubby stoles has hit her shop, THP Shop, and we're super excited about it. If you ever wanted to add a piece to your wardrobe that is certifiable street style bait, now's the time. 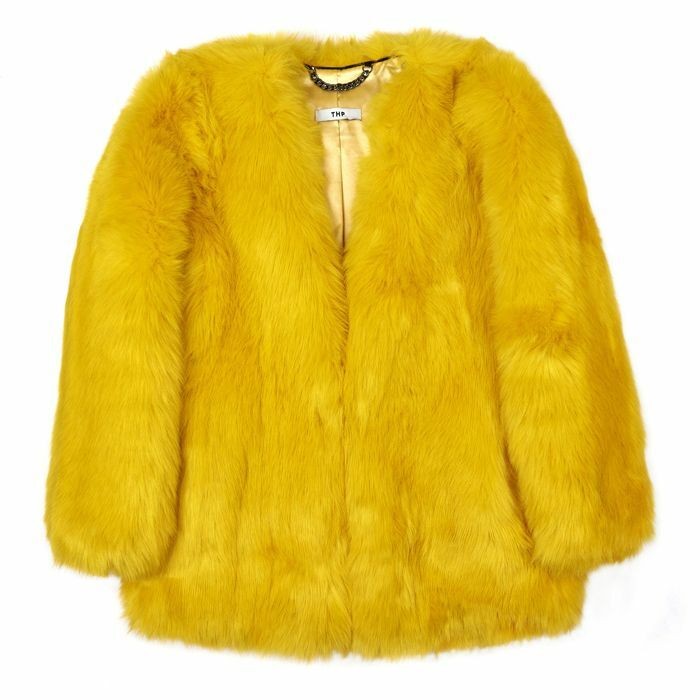 Keep scrolling to see Hong's collection of faux-fur pieces and shop them now! What do you think of Hong's colorful faux-fur pieces? Sound off below!